VERY HARD TO FIND. TAKARA'S DEUX-l FASHION MODEL DOLL IS BREATHTAKINGLY REAL. 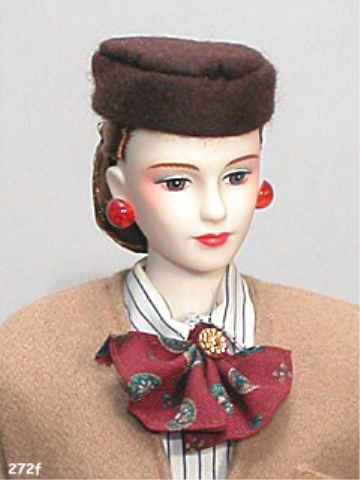 THE FASHION DOLL STANDS ABOUT 17 INCHES TALL WITH MEASURMENTS IN 1/4 SCALE TO A FASHION MODEL'S IDEAL BODY SIZE. 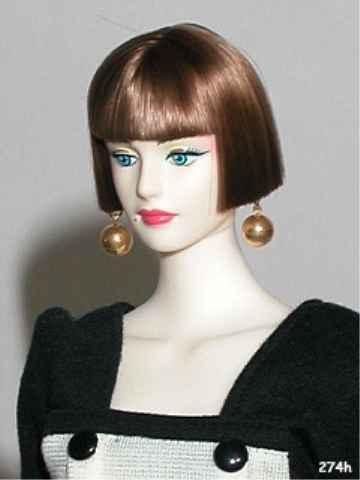 DEUX-L DOLL IS MADE OF TOP QUALITY VINYL WITH PAINTED FEATURES AND LUXURIOUS HAIR. THE DOLL IS JOINTED AT THE NECK AND ARMS. HER LEGS ARE POISED IN A FASHION MODELS RUNWAY STANCE WITH ONE FOOT FORWARD. TAKARA FASHION DOLL'S WARDROBE IS OUTSTANDING. THIS ONE IS THE DUEX-L MODEL 104-210. SHE IS IN MINT CONDITION AND HER BOX IN BLACK WITH LADY LUMINOUS IN GOLD PRINT. AT THE TIME THEY WERE MADE IN THE 80'S SEVERAL MODELS WERE MADE AND YOU COULD PURCHASE THEIR COSTUMES SEPERATLY AS WELL AS SHOES AND JEWELRY. 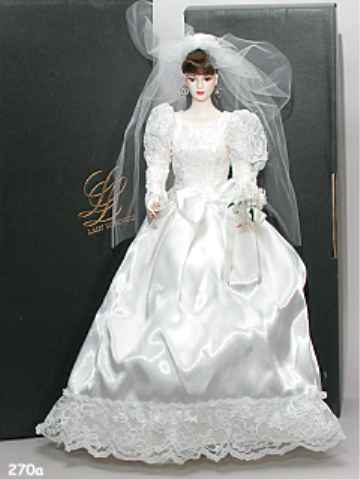 THEY WERE AVAILABLE THROUGH MURAT CAVIALE COMMUNICATION INC. AND AT FINE DOLL SHOPS. VERY HARD TO FIND. TAKARA'S DEUX-l FASHION MODEL DOLL IS BREATHTAKINGLY REAL. 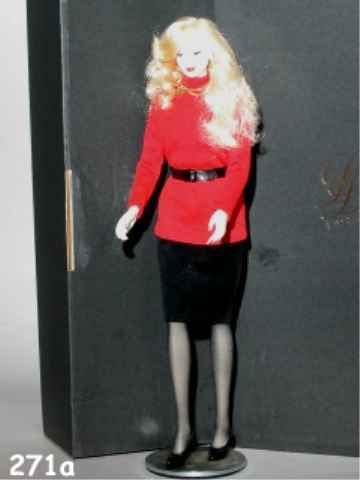 THE FASHION DOLL STANDS ABOUT 17 INCHES TALL WITH MEASURMENTS IN 1/4 SCALE TO A FASHION MODEL'S IDEAL BODY SIZE. DEUX-L DOLL IS MADE OF TOP QUALITY VINYL WITH PAINTED FEATURES AND LUXURIOUS HAIR. THE DOLL IS JOINTED AT THE NECK AND ARMS. HER LEGS ARE POISED IN A FASHION MODELS RUNWAY STANCE WITH ONE FOOT FORWARD. TAKARA FASHION DOLL'S WARDROBE IS OUTSTANDING. THIS ONE IS THE DUEX-L MODEL 912-175. SHE IS IN MINT CONDITION AND HER BOX IN BLACK WITH LADY LUMINOUS IN GOLD PRINT. AT THE TIME THEY WERE MADE IN THE 80'S SEVERAL MODELS WERE MADE AND YOU COULD PURCHASE THEIR COSTUMES SEPERATLY AS WELL AS SHOES AND JEWELRY. 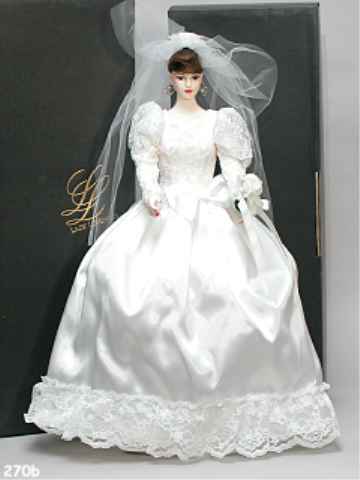 THEY WERE AVAILABLE THROUGH MURAT CAVIALE COMMUNICATION INC. AND AT FINE DOLL SHOPS. VERY HARD TO FIND. TAKARA'S DEUX-l FASHION MODEL DOLL IS BREATHTAKINGLY REAL. 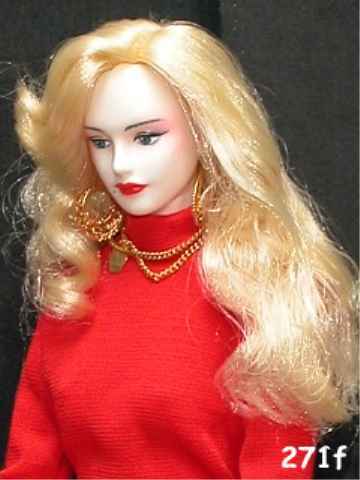 THE FASHION DOLL STANDS ABOUT 17 INCHES TALL WITH MEASURMENTS IN 1/4 SCALE TO A FASHION MODEL'S IDEAL BODY SIZE. DEUX-L DOLL IS MADE OF TOP QUALITY VINYL WITH PAINTED FEATURES AND LUXURIOUS HAIR. THE DOLL IS JOINTED AT THE NECK AND ARMS. HER LEGS ARE POISED IN A FASHION MODELS RUNWAY STANCE WITH ONE FOOT FORWARD. TAKARA FASHION DOLL'S WARDROBE IS OUTSTANDING. THIS ONE IS THE DUEX-L MODEL 913-175. SHE IS IN MINT CONDITION AND HER BOX IN BLACK WITH LADY LUMINOUS IN GOLD PRINT. AT THE TIME THEY WERE MADE IN THE 80'S SEVERAL MODELS WERE MADE AND YOU COULD PURCHASE THEIR COSTUMES SEPERATLY AS WELL AS SHOES AND JEWELRY. 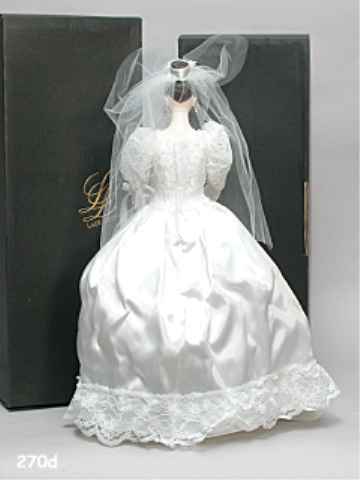 THEY WERE AVAILABLE THROUGH MURAT CAVIALE COMMUNICATION INC. AND AT FINE DOLL SHOPS. VERY HARD TO FIND. TAKARA'S DEUX-l FASHION MODEL DOLL IS BREATHTAKINGLY REAL. 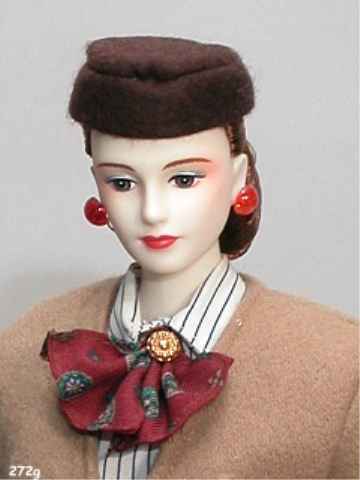 THE FASHION DOLL STANDS ABOUT 17 INCHES TALL WITH MEASURMENTS IN 1/4 SCALE TO A FASHION MODEL'S IDEAL BODY SIZE. 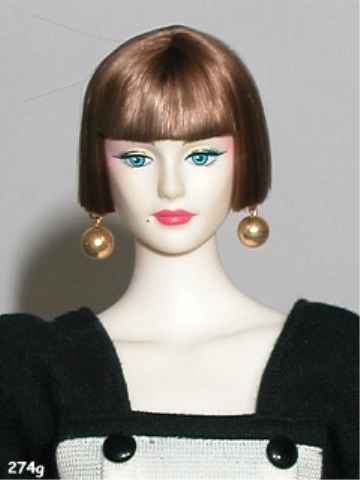 DEUX-L DOLL IS MADE OF TOP QUALITY VINYL WITH PAINTED FEATURES AND LUXURIOUS HAIR. THE DOLL IS JOINTED AT THE NECK AND ARMS. HER LEGS ARE POISED IN A FASHION MODELS RUNWAY STANCE WITH ONE FOOT FORWARD. TAKARA FASHION DOLL'S WARDROBE IS OUTSTANDING. THIS ONE IS THE DUEX-L MODEL 908-140. SHE IS IN MINT CONDITION AND HER BOX IN BLACK WITH LADY LUMINOUS IN GOLD PRINT. AT THE TIME THEY WERE MADE IN THE 80'S SEVERAL MODELS WERE MADE AND YOU COULD PURCHASE THEIR COSTUMES SEPERATLY AS WELL AS SHOES AND JEWELRY. 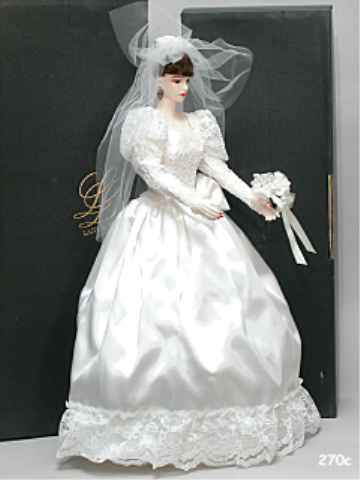 THEY WERE AVAILABLE THROUGH MURAT CAVIALE COMMUNICATION INC. AND AT FINE DOLL SHOPS. VERY HARD TO FIND. TAKARA'S DEUX-l FASHION MODEL DOLL IS BREATHTAKINGLY REAL. 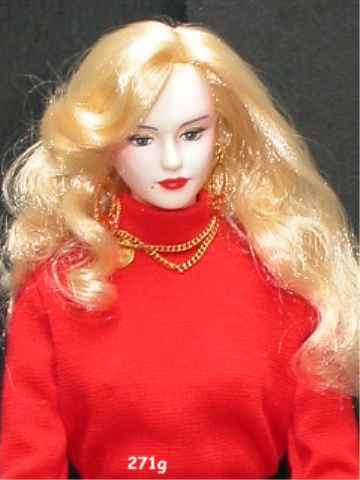 THE FASHION DOLL STANDS ABOUT 17 INCHES TALL WITH MEASURMENTS IN 1/4 SCALE TO A FASHION MODEL'S IDEAL BODY SIZE. DEUX-L DOLL IS MADE OF TOP QUALITY VINYL WITH PAINTED FEATURES AND LUXURIOUS HAIR. THE DOLL IS JOINTED AT THE NECK AND ARMS. HER LEGS ARE POISED IN A FASHION MODELS RUNWAY STANCE WITH ONE FOOT FORWARD. TAKARA FASHION DOLL'S WARDROBE IS OUTSTANDING. THIS ONE IS THE DUEX-L MODEL 811-170. SHE IS IN MINT CONDITION AND HER BOX IN BLACK WITH LADY LUMINOUS IN GOLD PRINT. AT THE TIME THEY WERE MADE IN THE 80'S SEVERAL MODELS WERE MADE AND YOU COULD PURCHASE THEIR COSTUMES SEPERATLY AS WELL AS SHOES AND JEWELRY. 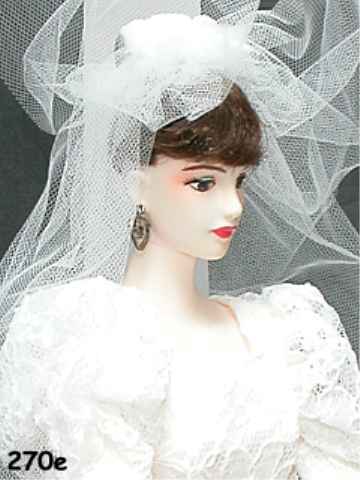 THEY WERE AVAILABLE THROUGH MURAT CAVIALE COMMUNICATION INC. AND AT FINE DOLL SHOPS. VERY HARD TO FIND. TAKARA'S DEUX-l FASHION MODEL DOLL IS BREATHTAKINGLY REAL. 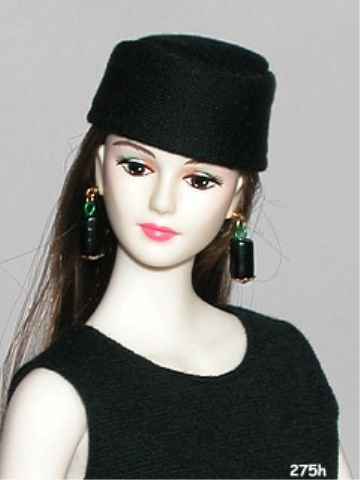 THE FASHION DOLL STANDS ABOUT 17 INCHES TALL WITH MEASURMENTS IN 1/4 SCALE TO A FASHION MODEL'S IDEAL BODY SIZE. DEUX-L DOLL IS MADE OF TOP QUALITY VINYL WITH PAINTED FEATURES AND LUXURIOUS HAIR. THE DOLL IS JOINTED AT THE NECK AND ARMS. HER LEGS ARE POISED IN A FASHION MODELS RUNWAY STANCE WITH ONE FOOT FORWARD. TAKARA FASHION DOLL'S WARDROBE IS OUTSTANDING. THIS ONE IS THE DUEX-L MODEL 905-140. SHE IS IN MINT CONDITION AND HER BOX IN BLACK WITH LADY LUMINOUS IN GOLD PRINT. AT THE TIME THEY WERE MADE IN THE 80'S SEVERAL MODELS WERE MADE AND YOU COULD PURCHASE THEIR COSTUMES SEPERATLY AS WELL AS SHOES AND JEWELRY. 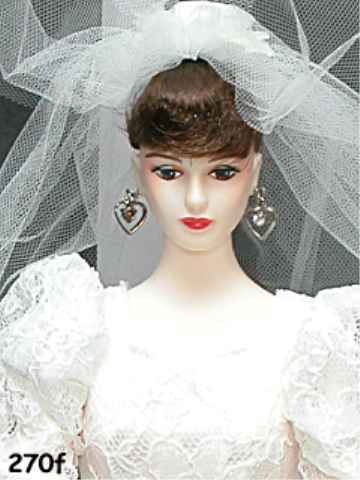 THEY WERE AVAILABLE THROUGH MURAT CAVIALE COMMUNICATION INC. AND AT FINE DOLL SHOPS. VERY HARD TO FIND. TAKARA'S DEUX-l FASHION MODEL DOLL IS BREATHTAKINGLY REAL. 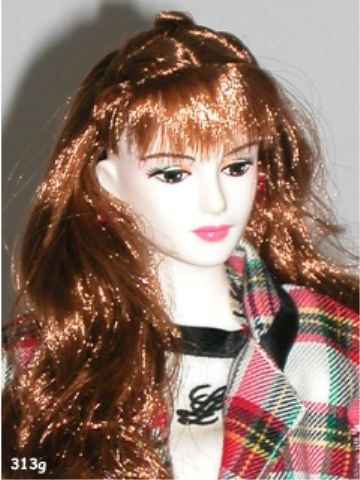 THE FASHION DOLL STANDS ABOUT 17 INCHES TALL WITH MEASURMENTS IN 1/4 SCALE TO A FASHION MODEL'S IDEAL BODY SIZE. DEUX-L DOLL IS MADE OF TOP QUALITY VINYL WITH PAINTED FEATURES AND LUXURIOUS HAIR. THE DOLL IS JOINTED AT THE NECK AND ARMS. HER LEGS ARE POISED IN A FASHION MODELS RUNWAY STANCE WITH ONE FOOT FORWARD. TAKARA FASHION DOLL'S WARDROBE IS OUTSTANDING. THIS ONE IS THE DUEX-L MODEL 815-170. SHE IS IN MINT CONDITION AND HER BOX IN BLACK WITH LADY LUMINOUS IN GOLD PRINT. AT THE TIME THEY WERE MADE IN THE 80'S SEVERAL MODELS WERE MADE AND YOU COULD PURCHASE THEIR COSTUMES SEPERATLY AS WELL AS SHOES AND JEWELRY. 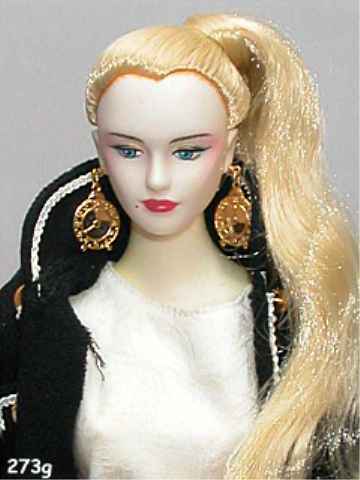 THEY WERE AVAILABLE THROUGH MURAT CAVIALE COMMUNICATION INC. AND AT FINE DOLL SHOPS.